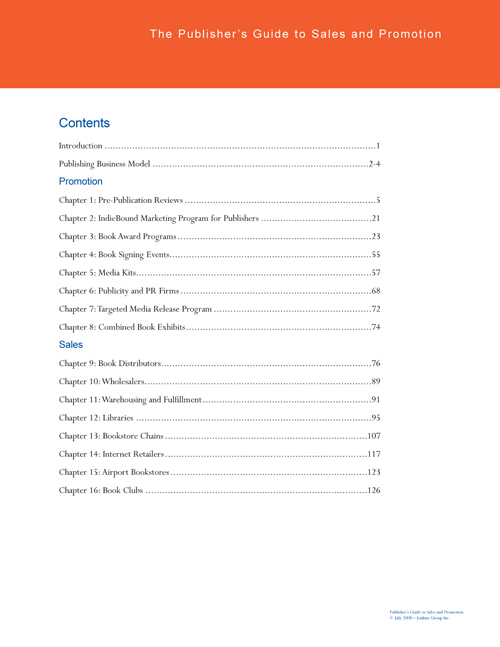 The Publisher's Guide to Sales and Promotion is where you will find information about distribution to the retail market, selling to the major chain bookstores, Internet bookstores, book clubs, and marketing programs including pre-publication reviews, book awards, and so much more. 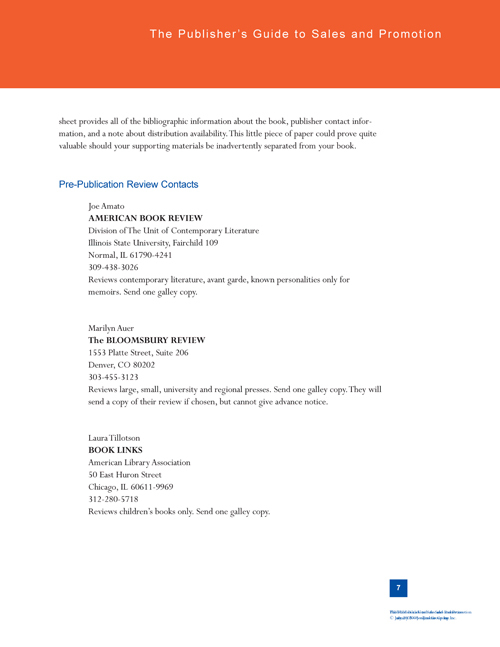 In addition to all kinds of great information, we have included contact information for the most important people in the industry.Â We tell you exactly who to talk to about distribution, who are the individuals to send your book to for reviews, who to contact if your book is a great fit with a specific book club, and what book ward programs are available. 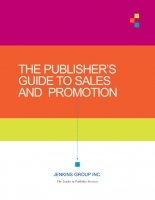 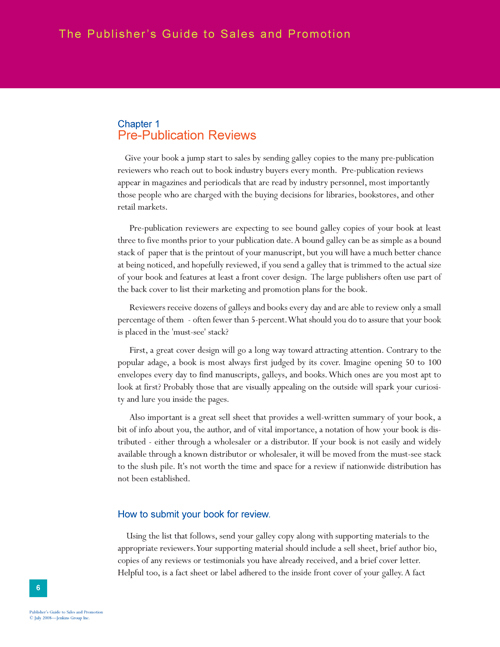 The Publisher's Guide to Sales and Promotion is 147 pages and designed to eliminate the fluff of other offers and provide you with only the most important information available, shortening your learning curve and helping you sell books faster!